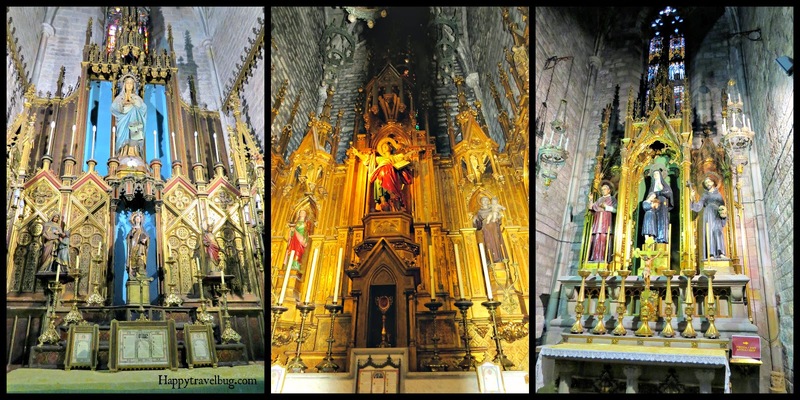 Of course you have heard of la Sagrada Familia in Barcelona, Spain, but there are other cathedrals that you should visit as well. 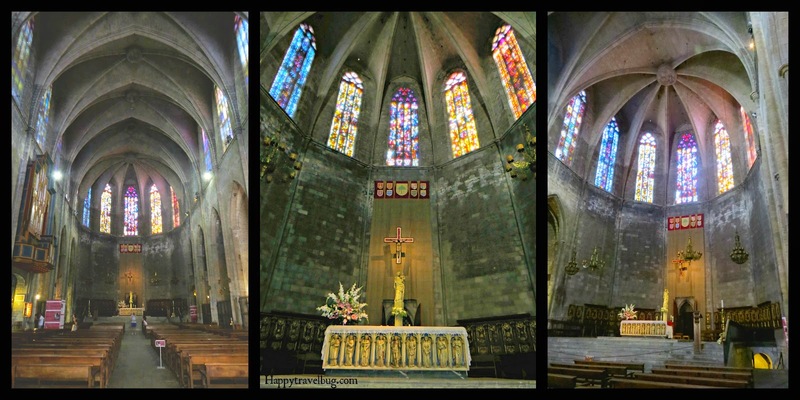 One of the more well known ones is the Cathedral of Barcelona (easy to remember). This beautiful church had no line at all and a very small entry fee, but most importantly, we could wear our shorts. 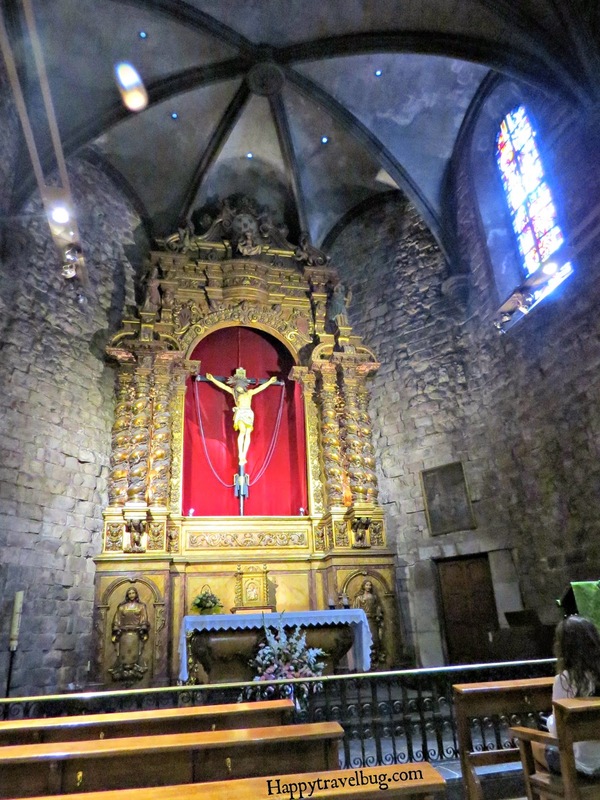 While I explored the entire church, my daughter sat down in the chapel (below) and took a break. There were many parts for me to explore. This church, built in the 14th century had many “side chapels”. At least that is what I call those parts on the side of large cathedrals that each have their own alter or design. Just beautiful! And I had the place to myself. Couldn’t believe it! 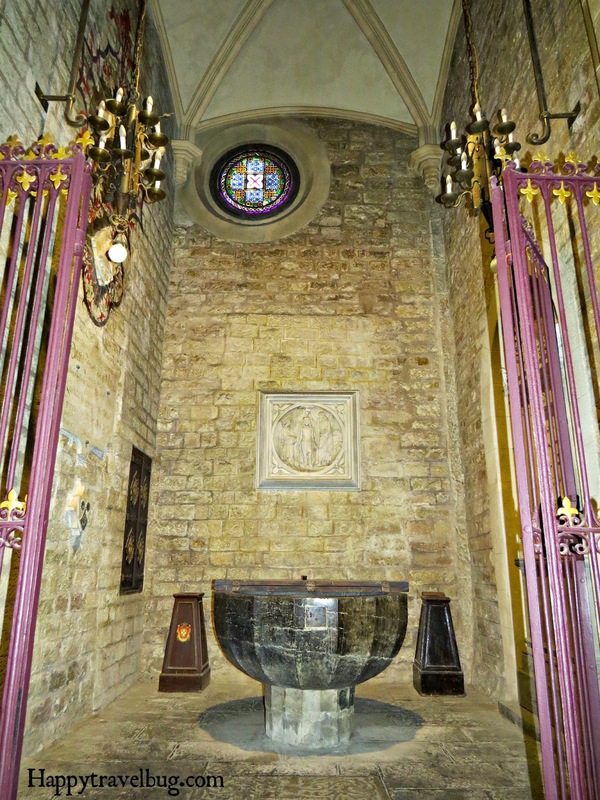 I love to imagine all the people that have been baptized here in the last 700 years. This was one of those photo fails that I ended up liking. I didn’t think there was enough light for the first pic, so I increased that for the second pic. But I ended up liking them both. The one in the shadows looks sadder in the face. 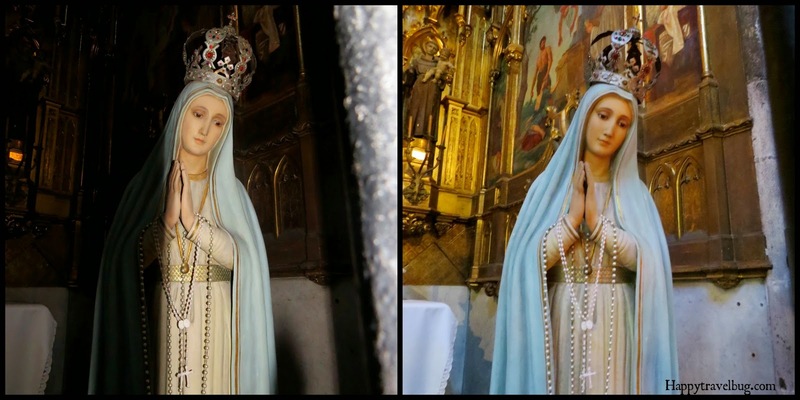 It is the same statue…isn’t that crazy!? I love stained glass windows! 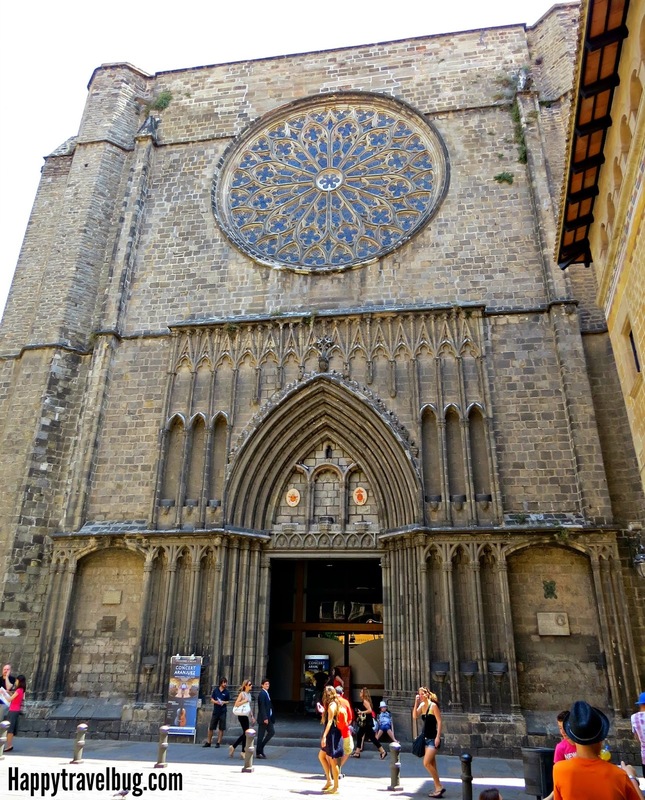 There were many in the Basilica Santa Maria del PI, but my favorite was the circle one at the back of the church. Pictures just don’t show the emotions of the colors streaming in thru the light. This picture above shows the window from the outside and the inside. I love the beauty hidden within. I loved having the church all to myself, but I could have used some company as I headed down into the crypt. It’s now used to show videos about the history of the church. 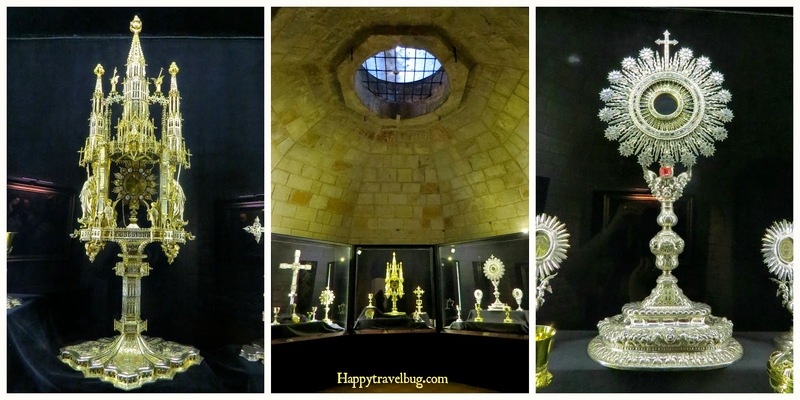 My last stop was a little church museum that had some relics on display. The picture below tells about them. 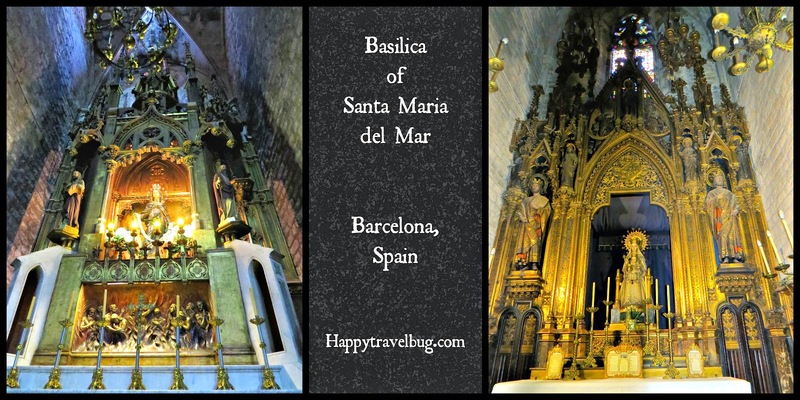 I was so happy to stumble upon The Basilica Santa Maria del Pi in Barcelona. Sometimes the best made travel plans don’t work out for some reason (no shorts in the cathedral) and you just have to have an open mind to new things you didn’t plan on. In fact, some of my best travel discoveries have been made this way. How about you? Comment below and let me know. Or just comment about whatever, I love to hear your thoughts. 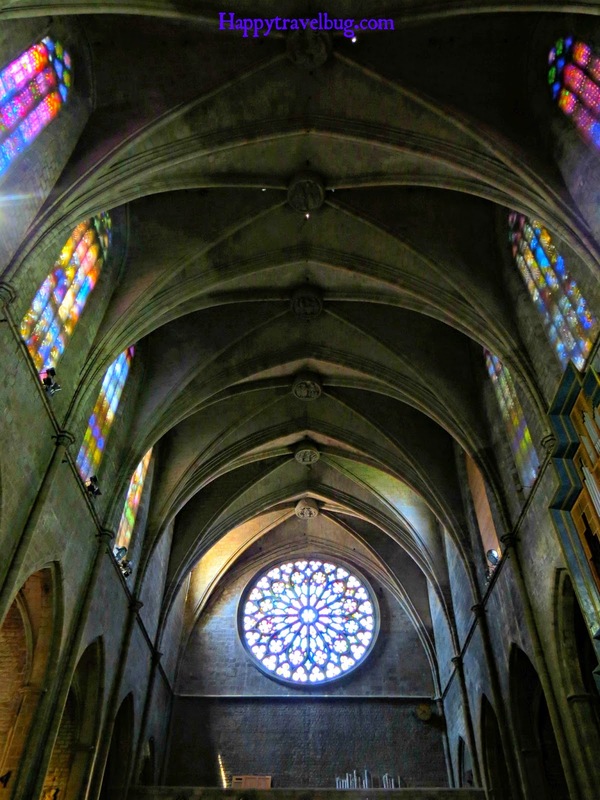 Oh, I love stained glass windows too, and this church is gorgeous! Thanks for playing today. Yes worth the short line and wearing pants to see this magnificent place. What a beautiful old church. I agree, an open mind leads to a good holiday excursion. So many truly awesome churches. I was there once, but n ever had the joy of seeing these great sights. Thank you for sharing your day in this spectacular church. Your photos gave me a strong sense of the grandeur and beauty of it all. I like the "people" door, too. The main door must be heavy to open. 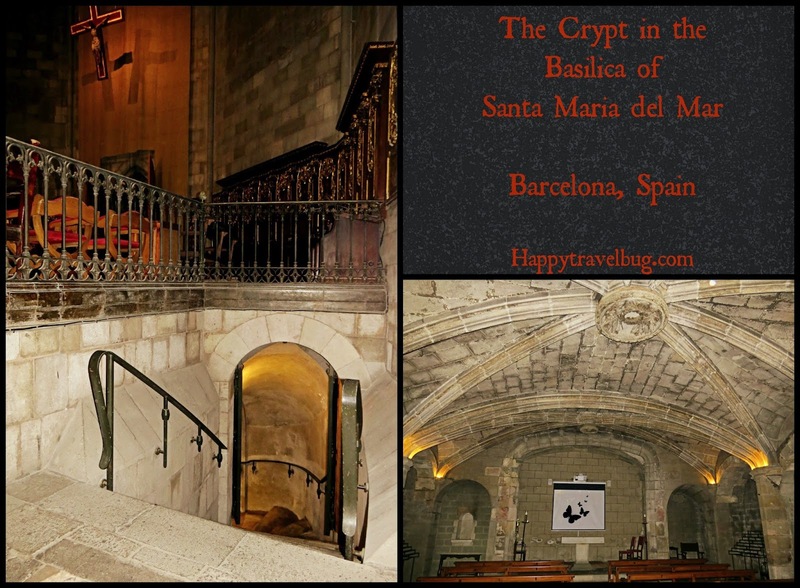 I didn't know there was a crypt inside and the little details you've posted like the adoration was just beautiful. thanks for sharing this. Oh my gosh! You are so right! I just had a brain lapse or something. Thank you so much for pointing that out. I have made all the corrections. This is such a pretty church. It's amazing that there are so many of these beauties in Europe that one of this quality doesn't draw much of a crowd. Imagine the line if it were in America. I love the stained glass windows. 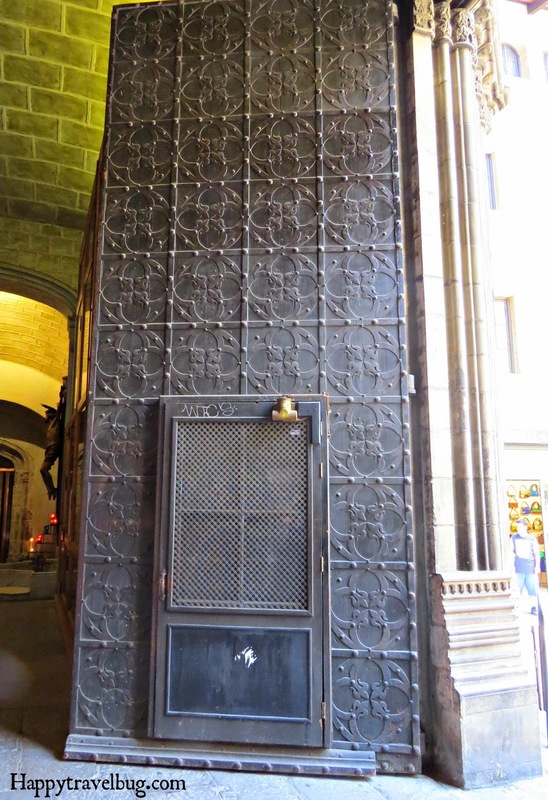 I like that door-in-a-door, too. 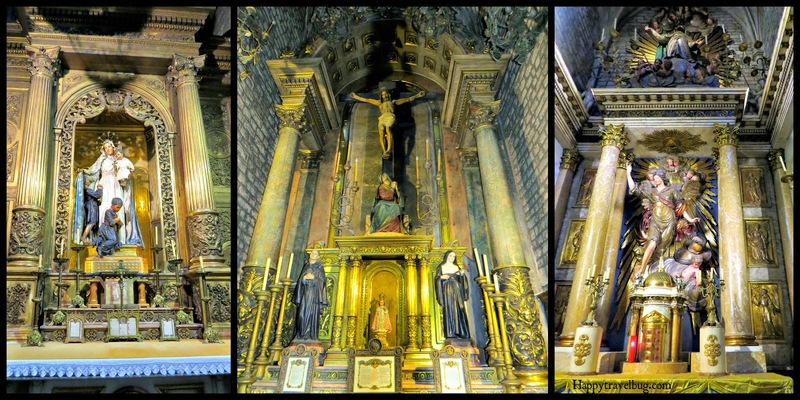 I love European churches. There is just so much to see inside. I agree. I love European churches too, although my experience is very limited. So thank you for taking us along. The architecture and windows are amazing. Happy travels. I am joining you at Mosaic Monday. Wow, this is amazingly gorgeous. 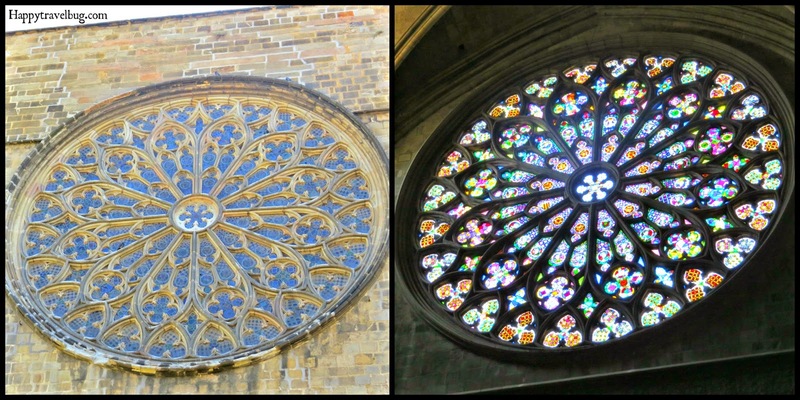 We love exploring old cathedrals and Missions, and I love seeing all of the stained glass too. So much history, if the walls could talk, the stories we would hear. Thanks so much for sharing at Inspire Me Wednesday. Featuring you in this week's issue.